The information presented on this page was originally released on March 6, 2015. It may not be outdated, but please search our site for more current information. If you plan to quote or reference this information in a publication, please check with the Extension specialist or author before proceeding. STARKVILLE, Miss. -- A Mississippi State University graduate student in the College of Agriculture and Life Sciences is the first-time recipient of a national weed science award. 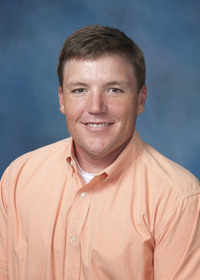 Copeland, a native of west Tennessee who holds a bachelor’s degree in agronomy from the University of Tennessee at Martin, is completing his master’s degree in agronomy at MSU. After he graduates in May, Copeland said he plans to pursue a doctoral degree in weed science at North Carolina State University. 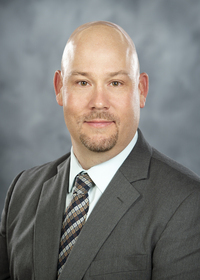 Angus Catchot, Extension professor in the Department of Biochemistry, Molecular Biology, Entomology and Plant Pathology and Copeland’s other major professor, described the graduate student’s research as cutting edge, addressing an area of growing concern for cotton producers in the Midsouth. For more on the Weed Science Society of America, see http://wssa.net/.